This Irish Christmas ornament is made by Kurt S. Adler. This Irish ornament features a mirrored drum shaped gift box that is enhanced with a large shamrock on the lid along with shamrock accented ribbon. 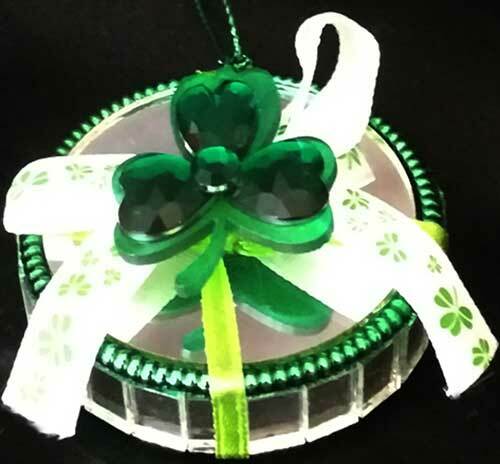 The shamrock box ornament is made of glass and metal along with resin and fabric and it measures 2" diameter x 1/2" tall; please note that the box does not open.